Natural colors – Granite is a natural stone, which means that choosing other natural colors for the rest of the kitchen is a great way to complement your countertops. Green and grey are good examples of this. Try painting the kitchen island a duck-egg green and the walls a warm grey, leaving the rest of your cabinets white. Warm tones – If your granite counter has a warm tone, then complement it with other warm hues such as cappuccino or taupe. Just think about keeping your kitchen cabinets white to prevent the kitchen from becoming too dark. Modern elements – If you’re looking to create a more modern appearance, go with white cabinets, ceilings and walls and use light gray tiles for the floor and backsplash. These are a few ways that you can design your kitchen around your granite countertops. 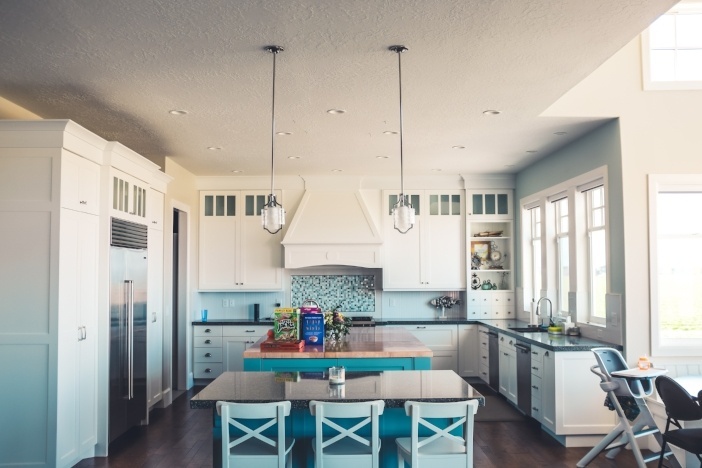 For additional advice on kitchen remodeling in Seattle, contact us.